One of Spider-Man's greatest enemies meets with another to form an unholy bond and get back at him by threatening everyone close to him. Due to previous unfortunate events, Peter Parker had to ruin Parker Industries and everything it was built on in order to prevent Doctor Octopus or Hydra from misusing any of it. Currently, he is crashing at the couch of S.H.I.E.L.D. agent Bobbi Morse AKA Mockingbird when he is not fighting crime. Aside from that, his adventure as Spider-Man continues and he managed to get a job as Daily Bugle's science section editor. By this time, two mercenaries breach at underwater containment facility called Lock Box to secure a package and releases an artifact known as Zodiac Key. A year ago, on the same day, Spidey had thrown out the villainous Scorpio into Zodiac Dimension for a year after he gained a year worth of prior knowledge of future. On the same day, Lock Box is breached and he got out while gaining the key as well. He is eventually taken down and he warns before going to prison that something is coming for the Wall-Crawler, which he brushes off. Elsewhere, those mercenaries arrive to their employer with the package, which turned out to be the Carnage symbiote and the boss being Norman Osborn. Then he would be called upon to by the current Sorcerer Supreme, Loki in absence of Doctor Strange. Years ago, he owed Spidey a favor and he just wanted to return it now but after a brief adventure together, the latter used it in most unexpected way Laufeyson could ever think of. Meanwhile, Osborn unleashed the symbiote after repeatedly failing to restore his madness by mystical, psychological or surgical ways. It tries to take over but he offered to teach it becoming more sadistic starting with killing two of his own henchmen. Carnage is intrigued by Osborn's method of torturing and wanted more but Norman agrees to that for being in full control. Not only does it repair his facial appearance, the symbiote ejected all nanites from his body that was stopping him from becoming Green Goblin. Alchemax C.E.O. Liz Allan asks Flash Thompson to be present as Agent Anti-Venom during one of their upcoming presentation. There, Phil Urich showed up as Goblin King with his minions, which results in a fight and Peter ended up hitting the jackpot with Mary Jane Watson after the fight. Peter and Mary Jane were at her apartment passionately making out and reminiscing about their past times together but then remember about their reason for splitting up seeing his costume underneath. Liz asks Flash again to try and retrieve the exploding metal tritium from Goblin King. In one of his abandoned his gentleman's club, Osborn was talking to someone about Spider-Man whom he abducted and had blindfolded. Hearing some noise downstairs, he goes to check and confronts Phil, who he kills by ripping his heart out when Goblin King attacked him with a flame sword. Norman came back monologuing to his prisoner explaining how he is going to deal with the Wall-Crawler but his hostage pointed out how Green Goblin has failed over and over in past only to fail each time and accidentally spills a hint. With that, he managed to deduce the secret identity of the hero and his captive is revealed to be none other than J. Jonah Jameson. He then raids into Daily Bugle looking for the Web-Head and these two gets into a fight. GG threatened everyone with tritium explosives and Spidey managed to contain the blast. Osborn got impaled on a girder and faking his dying state, he calls Parker near to thank him. 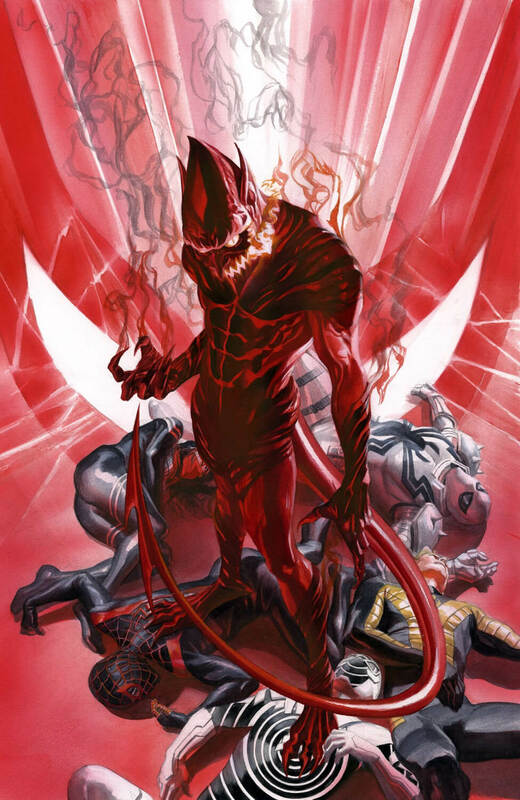 Then he turned into a goblin/symbiote hybrid called Red Goblin. 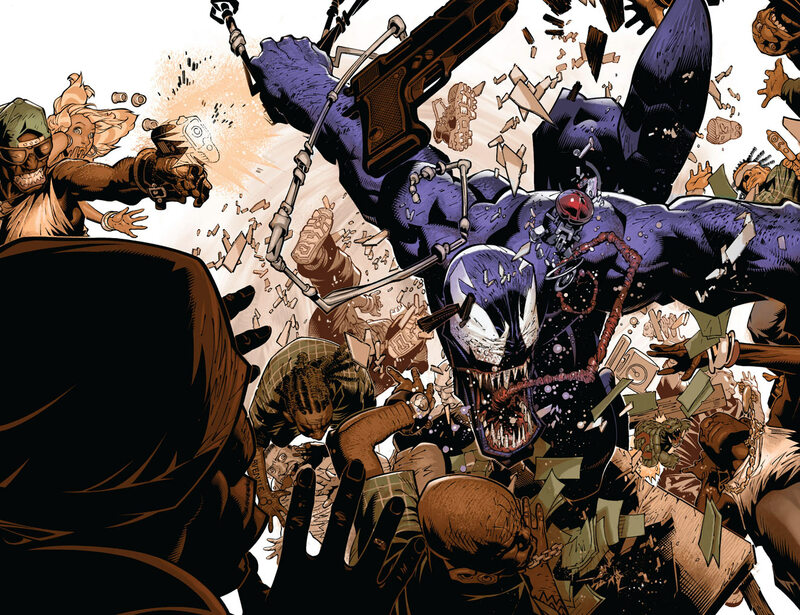 With his newfound power, Carnage/Goblin proves to overwhelming for Spider-Man alone. He offers to leave him alone if he gives up being hero or kill each and everyone he loves. Even with help from his friends Anti-Venom, Clash, Human Torch, Miles Morales and Silk, Pete didn't stand a chance. Here is your links to buy "Amazing Spider-Man – Red Goblin" from Marvel Comics in issues on Amazon. Here is your link to buy "Amazing Spider-Man – Red Goblin" from Marvel Comics on Amazon. Despite Spider-Man having an impressive Rogue's Gallery, his villains can get a bit repetitive over times. 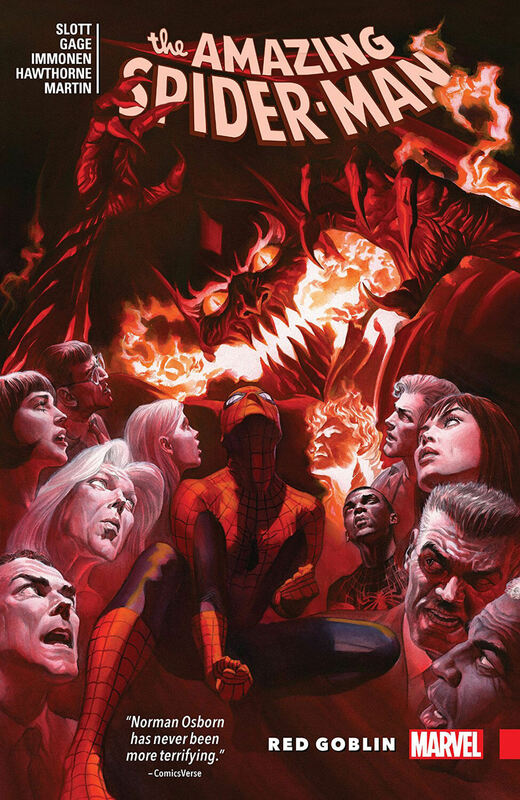 In 2018, Marvel Comics hired writer Christos Gage (Civil War – House of M, House of M – Avengers) and Dan Slott (She-Hulk, Silver Surfer) to solve that problem in "Red Goblin" storyline. Artists Jim Cheung (Avengers – The Children's Crusade, New Avengers – Illuminati), Giuseppe Camuncoli (Darth Vader – Imperial Machine, Darth Vader – Legacy's End) and Stuart Immonen (Fear Itself, Inferno) delivered illustrations for issues # 794-801 of Amazing Spider-Man monthly ongoing series. Green Goblin has been a terrible menace who terrorized Peter Parker on personal level and in his super-heroism. Carnage is another psychopath who is nearly as ruthless but a lot more chaotic. When two of these terrible personas merges and creates a new one, it surely is a live horror show. 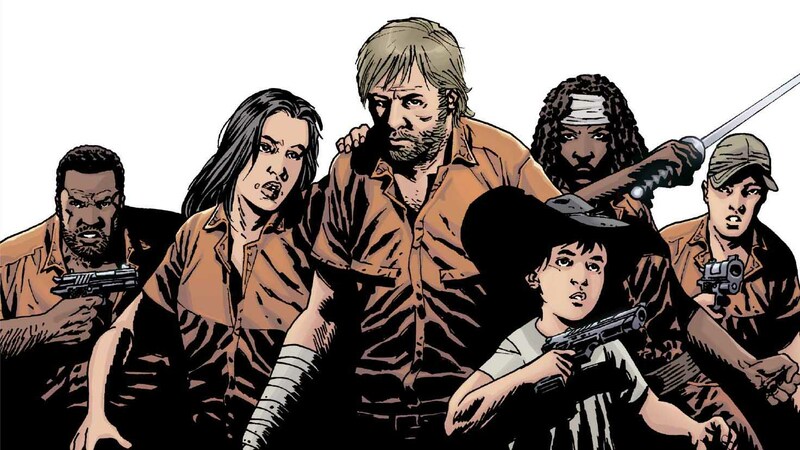 With a slow build-up, the plot eventually delivers more twists and turns than readers have probably bargained for. 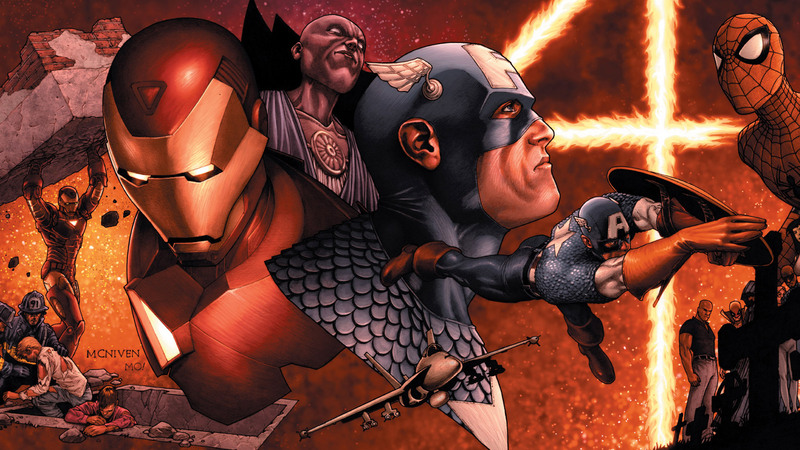 Throughout the arc, references of the events from One More Day, Secret Empire and The Clone Conspiracy were made. Apparently, it took place between "Hunt For Wolverine" and "Return of Wolverine" crossover events and Wolverine even showed up in a cameo in the first issue of the story. An alien symbiote from Battleworld found Spider-Man as a human host and then latched to Eddie Brock and became the most wicked of web-slingers; Venom! The alien symbiote that bonds with a host and grant them superhuman abilities is an extraterrestrial species known as Klyntar came from Planet of the Symbiotes from a remote sector of Andromeda Galaxy. It's very first host tried to unleash a genocide using its power and it horrified them as one of Agents of the Cosmos. Later, alien arms-dealer Haze Mancer would capture it in an attempt to weaponize by increasing aggression within it but Klyntar managed to escape from his grasp. Then Symbiote Imperium had it contained in a prison fearing contamination of gene pool that would eventually make way to Beyonder's Secret Wars. It first came in contact with freelance mercenary Deadpool, whose time in Battleworld is forgotten to everyone. After he wore it for a brief time, Wade Wilson realizes the suit being alive and then left it believing his own insanity might affect the mind of this sentient alien being before Spider-Man came in for a costume change. 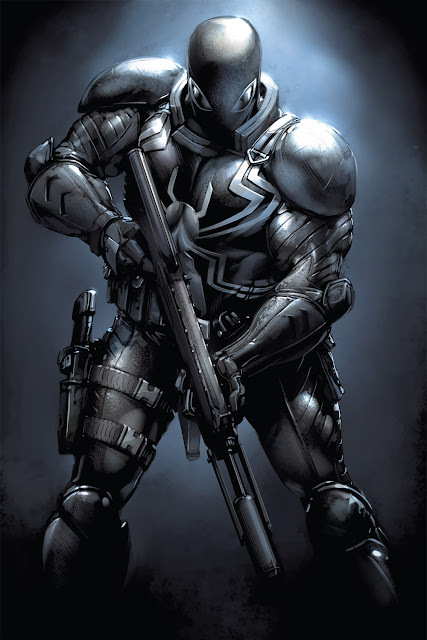 As he was trying to repair his own suit, the symbiote covered his entire body by forming a new black and white costume similar to the one previously worn by the second Spider-Woman Julia Carpenter. He also discovered soon that his new suit is capable of generating clothes for him as well as much stronger webbing. Back on Earth, Spidey realized after a while that his new costume is a sentient "Friend" from outer space and even causing him to act aggressively as it was affecting his emotions. When he approached the Fantastic Four regarding this growing issue, Reed Richards informed him that it wishes to bond with him permanently. Learning its vulnerability to both sound and flame helped them removing it from Spidey using powerful sonic waves. It escaped and hid into his closet by disguising as his regular red and blue costume. Peter then permanently got rid of it on bell tower of Our Lady of Saints Church after the symbiote forcibly tried to bond with him again. This act of rejection however develops a natural bitterness in it which is also passed into the symbiote’s future hosts. While Peter thought he finally destroyed it, through floor cracks Klyntar escapes and took time recovering. When attacked by alien bounty hunters Killer Thrill, Guzz, and Coldwar, it sought out Deadpool to bond with him again. This trio of villains was hired by an Elder of the Universe named The Collector to bring the symbiote to him. Though merging with Wade Wilson saved it from being captured by those aliens, they were emotionally incompatible to co-exist and Klyntar had to leave him to go to the church it came from and prey on its next host. Reporter Eddie Brock was suffering with serious health issues which caused him severe anxiety. As one of his front-page exclusives on Sin-Eater blows up on his face, he got fired. Because of Spider-Man apprehending the villain and revealing what Brock insisted on was wrong, he lost his job at Daily Globe and blindly starts blaming the hero. After a few failed suicide attempts, he starts visiting Our Lady of Saints Church regularly to ask for forgiveness from God and came in contact with the alien symbiote. It soon merges with him and took the name Venom, thus a new villain for Spider-Man was born. His intense rage and hatred towards Spidey for troubling hm helped Klyntar bond with him on both mental and physical level. In fact, all that anger actually corrupted the being, which become ever more ferocious and bloodthirsty than it already was. Although the symbiote had a desire to bond with Peter again, he now wants to kill him instead. It took only a while for Brock to figure out that he now possess all of Spider-Man's incredible powers and because of his already intimidating physical frame, it became more powerful than ever. Merging with his alien costume also grants him extensive knowledge on his sworn enemy as well as his precious secret identity. Upon bonding together, Venom often referred to them as "we" noting they are two different beings becoming one. It kept Eddie alive from adrenal cancer which he was previously diagnosed with before running into all these and had a little time to live. This suit could also cancel out Spider-Man's unique spider-sense to sneak attack on him. 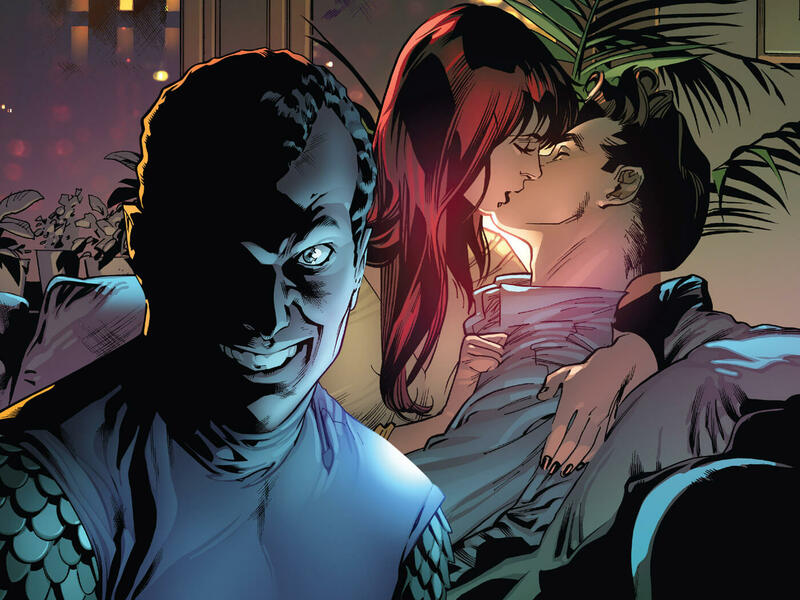 After taunting Spidey a couple of times, Brock decided to pay a visit to Peter's wife, Mary Jane Watson, who was terrified as a result even though she didn't harm her physically. Parker then confronted Venom with a sonic blaster from Fantastic Four but discovered Eddie has completely bonded with it after subduing his enemy. Though Peter decided to stop using the weapon on Brock thinking it can kill him, when it caught him off guard, Venom took him to the church bell and webbed him up. With struggle, he came out of his captivity and force Venom to exhaust his webbing to a point where he couldn't regenerate more mass, leading it to be captured in a sonic containment cell. When Norman Osborn called in his Thunderbolts team to New York, they came to stalk Spider-Man and they started with questioning Peter Parker about his bug-buddy but got nothing from him. Looking for his enemy over the city, Gargan eventually ended up at F.E.A.S.T. Center and then stumbled onto Eddie Brock, former host of the symbiote. The symbiote tries to merge with Brock once again and he retaliated by turning into Anti-Venom. Gargan and his suit are literally crushed by their reverse counterpart and even "cured" him by completely draining him off. Osborn however, managed to restore his suit back and made him a poisonous counter using the immune system of Freak. These two have a rematch and Gargan stung Brock with the poison that nearly killed Anti-Venom but his suit still refused to kill Eddie. This gave the white substance time to recover and it strikes back to destroy the Scorpion suit. When Osborn initiated a self-destruct sequence, they had to postpone the fight and leave to settle this some other day. When Norman Osborn bonded to Carnage symbiote and become Red Goblin, he savagely beat Spidey down before leaving him with a warning to go after his loved ones if he doesn't stop playing hero. Meanwhile, Venom showed up at Stark Tower to protect Mary Jane after J. Jonah Jameson tipped off Eddie Brock but only to spook her unwittingly. Brock did his best to hold Red Goblin off until Spider-Man arrived and they overpowered the maniac but he managed to hurt MJ before leaving. As he tries to follow Osborn, Eddie lends his suit to fight the hybrid Goblin and even though hesitant, Spidey wore the black costume once again to defeat his worst enemy wrapped in another symbiote. First off, he saved Liz Allan from falling off and then drove Osborn away from Harry and Liz. When Osborn electrocutes Flash Thompson as Anti-Venom for ruining his secret plan, Peter screams in rage and become Spider-Venom but Flash urges him to calm down. Before his final fight with Goblin, he drops the suit and tells it to return to Eddie. Eddie starts having recurring nightmares from Viking Age of a monster and turns out his symbiote was the one having these bad dreams. When trying to take photos of Jack O'Lantern doing an arms deal, he lost control of the suit as it has gone berserk and starts speaking an alien language before being captured by a man named Rex Strickland. Rex was a member of a Sym-Soldier Program that S.H.I.E.L.D. employed during Vietnam War and asks Venom to help him liberate his comrades. Though reluctant at first, Brock agrees to help him to get answers for his recent nightmares. However, his suit abandons him when he faced the Sym-Soldiers and got impaled in chest by one of them. A symbiote-dragon called Grendel is awakened that threatens the city and he goes to confront it alone but is attacked by Spider-Man, Miles Morales. Miles mistakes him for the Venom that killed his mother but Eddie manages to convince him otherwise and these two web-slingers team-up to take down the dragon-like creature with Miles' Venom Blast. Within the beast emerges a pale entity who introduces him as Knull, God of the Symbiotes. He is looking for a missing piece of Grendel to be free from his imprisonment on the other side of cosmos. 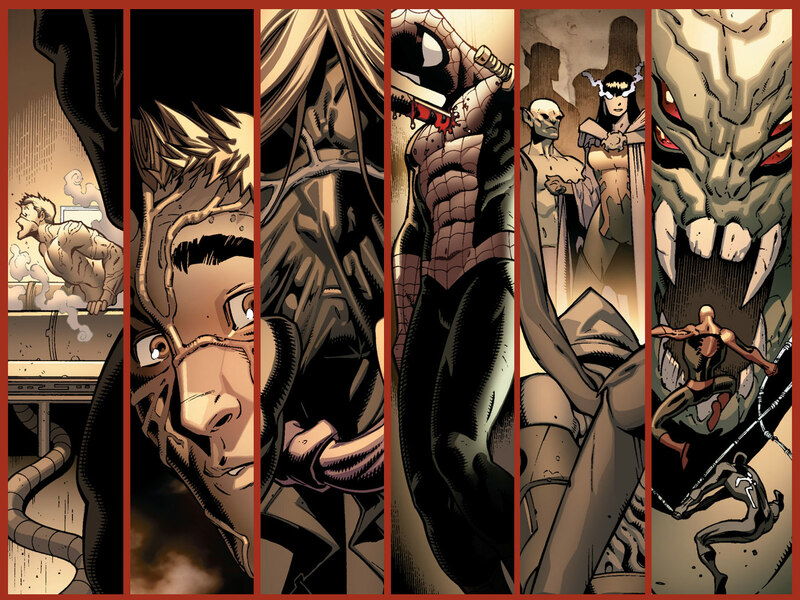 Upon contacting Knull, Venom unlocked new abilities and confronts Rex, the missing symbiote of Grendel, Tyrannosaurus posing as his original host. Knowing none of them could single-handedly beat Knull's avatar, they bonded together and faces the symbiote-dragon with an arsenal of high-tech weapons. They connect to the Klyntar hive mind to call Grendel for a final battle and Tyrannosaurus sacrifices itself to kill the beast using a blast furnace while Venom also died off that heat. For more information on Venom comics series, you can check out these links below. Here is your links to buy "Venom" comics from Marvel Comics on Amazon. Originally introduced on the pages of Amazing Spider-Man, issue #252 from Marvel Comics as a new costume for arachnid superhero Spider-Man in 1984, an alien symbiote that would later take alias of Venom by debuting on issue #300 from 1988 is one of the greatest recurring enemies that everyone’s favorite wall-crawler has ever faced. 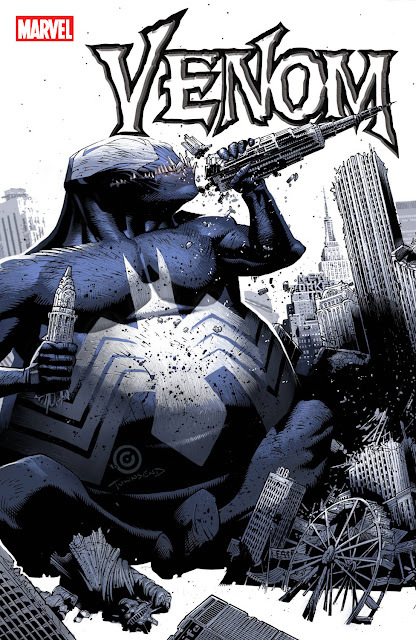 Created by artists like David Michelinie, Mike Zeck and Todd McFarlane (Haunt, Image United), Venom eventually became an anti-hero who aside from occasionally teasing Spidey would later become a vigilante as well in his own monthly ongoing comic-book series, after having numerous limited series containing misadventures of his own. Venom’s immense popularity has brought him into many animated adaptation of Spider-Man TV Series and games for decades. The character also made a live-action appearance on the 2007 live-action film Spider-Man 3, where actor Topher Grace played Venom in an antagonist role of Eddie Brock but due to poor character development and very bad use of CGI, it was heavily criticized by fans and critics. Another attempt of portraying the character by actor Tom Hardy will be seen in 2018's Venom movie from Sony Pictures, which already revealed a terrifying yet much anticipated look of the symbiote, adapting the "Lethal Protector" and "Planet of the Symbiotes" arc. Even before the movie came out, they have planned ahead to bring Carnage as main villain starring Woody Harrelson in sequel. Biochemistry professor Miles Warren had a strong romantic pull over Peter Parker’s then love interest Gwen Stacy. When she died (Death of the Stacys) Warren gone mad thinking Spider-Man was solely responsible for this incident and took the identity of The Jackal to make Spidey’s life miserable. First, he made a clone of Peter Parker named Kaine, then he cloned Gwen Stacy and created another clone named Ben Reilly. He allied himself with Green Goblin and ushered Clone Saga. Jackal fooled Peter to believe that he is a clone and Ben is the real deal but when the former died, everyone realized Jackal’s deception. Kaine believed Peter to be a clone and used to roam New York as a serial killer who tried to frame Ben Reilly for the murders. After Ben’s demise, Peter becomes Spider-Man again and Kaine Parker lived. He sacrifices himself during the “Grim Hunt” when Alyosha and Ana Kravinoff came looking for Spider-Man to resurrect Kraven through a ritual. Kaine eventually came back to life as a six-legged freak Tarantula during “Spider-Island” event and ended the crisis. He becomes Scarlet Spider with all the power but none of the responsibility. Alongside Venom, Kaine tangled with Carnage upon his return (Minimum Carnage), fought the Assassins Guild, bested the X-Men and teamed up with Wolverine. 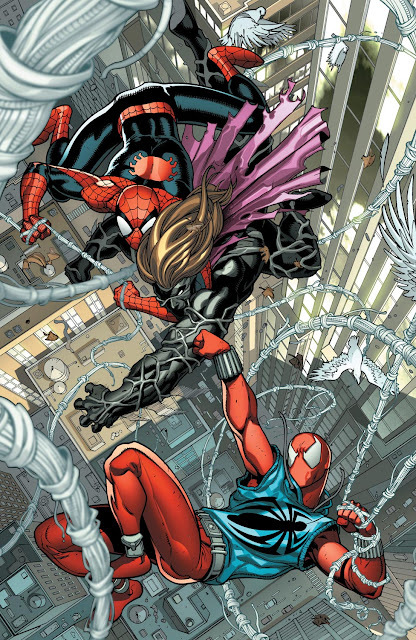 Scarlet Spider allied himself with the New Warriors and later traveled to Spider-Verse to put an end to the reign of Morlun and The Inheritors alongside the Spider-Men of Multiverse. For more information on Scarlet Spider comics series, you can check out these links below. Here is your links to buy "Scarlet Spider" comics from Marvel Comics on Amazon. Originated from the idea of Spider-Man, a clone version of the character was introduced by Terry Kavanagh and Steven Butler on the pages of Marvel Comics and the alias ‘Scarlet Spider’ was first used by Peter Parker’s clone Ben Reilly in 1994. Then Joe Wade assumed the name upon becoming an evil cybernetic version of it and then Peter himself had taken the role briefly. Later a team of three Michael Van Patrick clones acted as Scarlet Spiders to form "Red Team" for The Initiative and finally Kaine Parker took the mantle in his own monthly ongoing series for good. 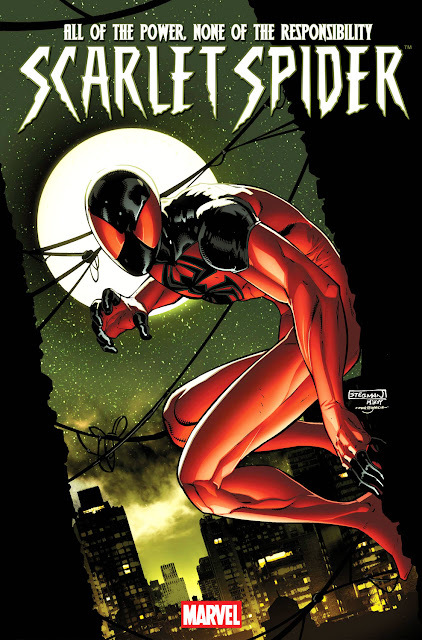 The character had a short lived ongoing series titled ‘The Amazing Scarlet Spider’ back in 1995 and later another series was launched in 2012 featuring Kaine Parker, who at one point even met with the Superior Spider-Man during 'Sibling Rivalry'.